IP conference are different from ordinary IP Phone. IP conference phones can create clear voice quality that does not merge and lost when multiple people are speaking. IP conference Phones gives true real life experience as all participants are sitting in single room. 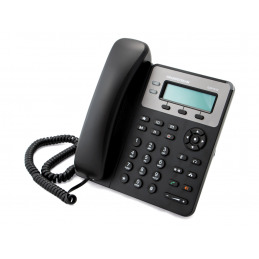 We sell top brands IP Conference Phones. eg Polycom and Snom. Conference Phones There is 1 product. The Grandstream GVC3200 SIP complaint technology with application layer of Android this makes the whole system easy to use. Video conferencing solution is one size fit all plug and play solution. You can use it any size or type of business. It uses multiple protocols with open standards.